It is late evening and teams start the 2nd Leg of the Race by signing up for one of two jeepneys leaving 15 minutes apart from Hannah’s Resort starting at 4am. 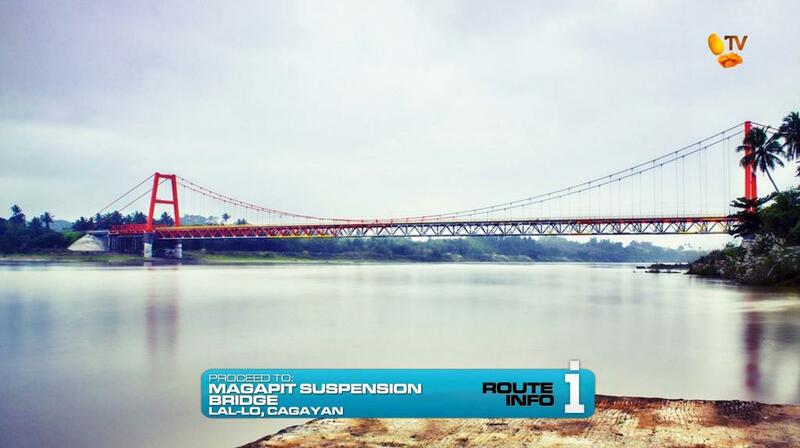 Both jeepneys will take teams to the Magapit Suspension Bridge in Lal-lo, Cagayan. One of the oldest suspension bridges in Asia (? ), Magapit is also the sole connector of north and south Cagayan via the National Highway. And it is here where teams will find the next clue. The 15-minute lead is erased as all teams arrive at the cluebox at the Magapit Junction at the same time. And this clue reveals the very first ever Roundabout. A Roundabout presents three paths, or options, for teams to continue on this Leg. 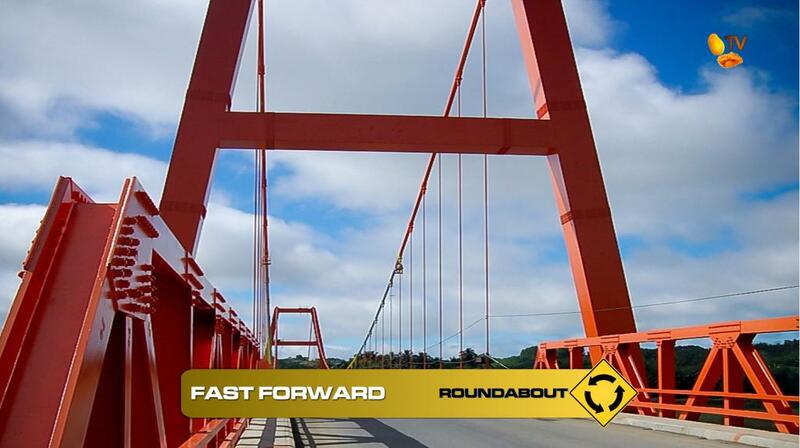 For this Roundabout, teams are being given an opportunity to complete an extra task to win a Fast Forward award. 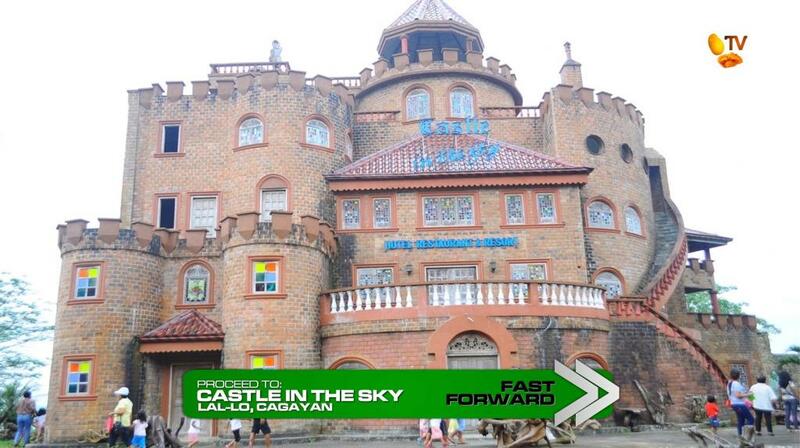 To attempt to win the Fast Forward award, teams must head to Castle in the Sky, 5 minutes from Magapit Junction. There, they will search the bamboo and wood pieces they will use to assemble a bamboo chair. 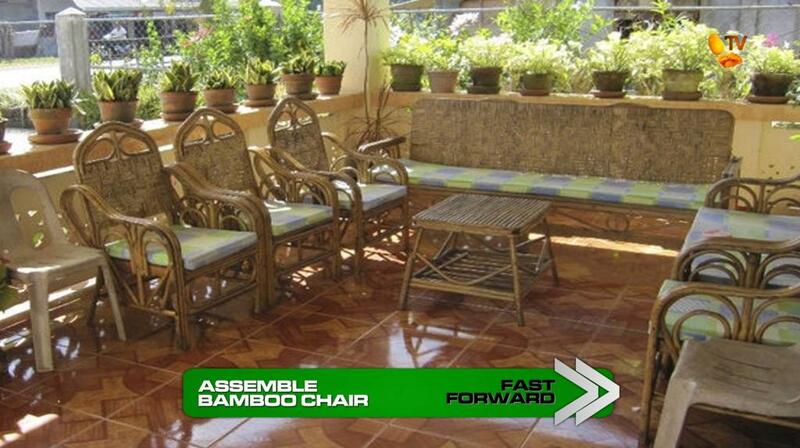 Once it is approved by the carpenter, they will receive the Fast Forward award and can continue on the Race. But because of this Roundabout, teams will be given two different options in how to use the Fast Forward. The first Roundabout option is to use the Fast Forward as it has normally been used, to skip all tasks on this Leg and head directly to the Pit Stop. However, for the second Roundabout option and for the first time ever, the Fast Forward award can also be used anytime through the end of the 9th Leg of the Race, except on this 2nd Leg. Teams can present the Fast Forward after receiving the first clue after the Pit Stop of any Leg. Once a team wins the Fast Forward, they will have to continue Racing this Leg. The third Roundabout option is for teams to skip the Fast Forward task and to instead hop into waiting Toyota Innovas and to direct their drivers to take them to the Callao Caves in Penablanca. 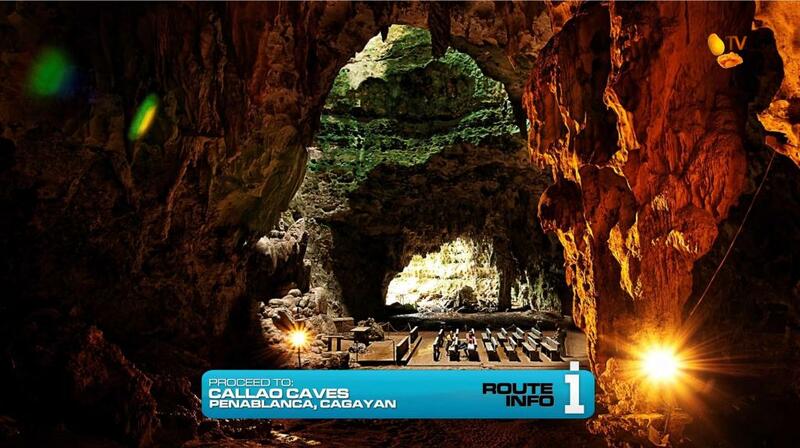 Once there, teams must search trough the Callao Caves until they find the cluebox at the entrance of the Chapel. And the clue reveals the Road Block. 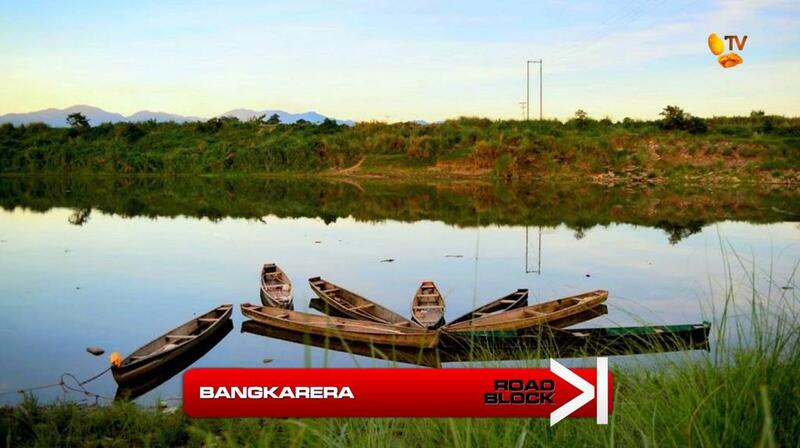 For this Road Block, teams will join the Bangkarera canoe race, part of the annual Pavvurulun Festival. Teams will race against 4 other competitors and they must finish in the Top 3 to receive the next clue. As many as 3 teams can compete in the same heat. 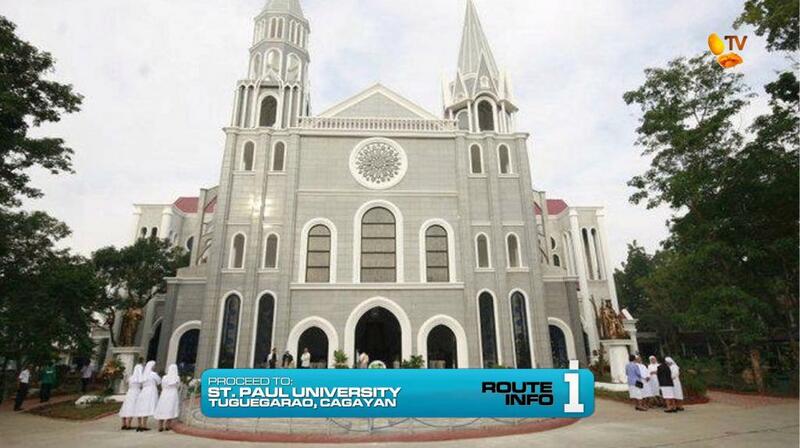 After the Road Block, teams will now make their way to St. Paul University for their next clue. And this time, teams find the first Detour of the Race. With an all-time record high of 42.2°C or 108°F, Tuguegarao is the hottest city in the country, literally. 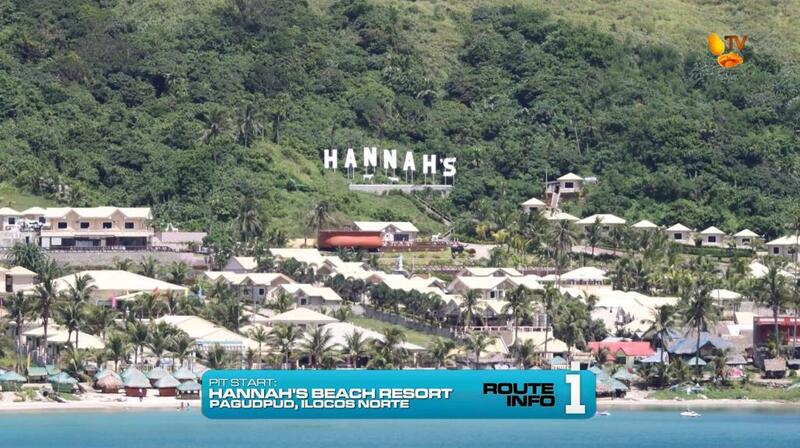 And for this Detour, teams will choose how they want to cool off. The choice: Ice Cream or Ice Candy. 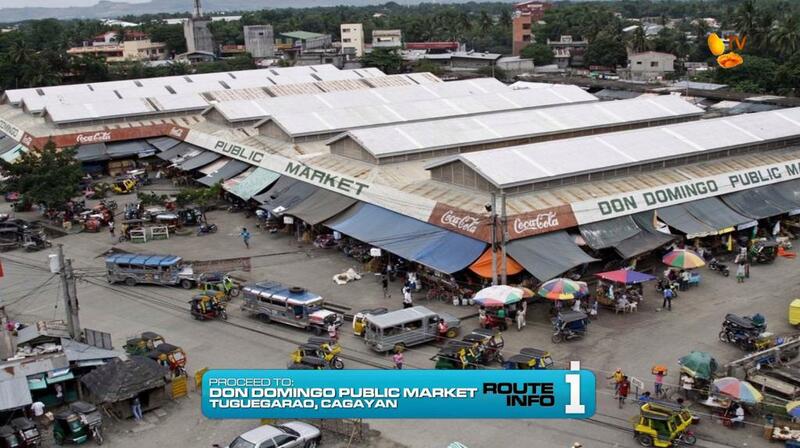 For both sides of the Detour, teams will make their way on foot to Don Domingo Public Market. 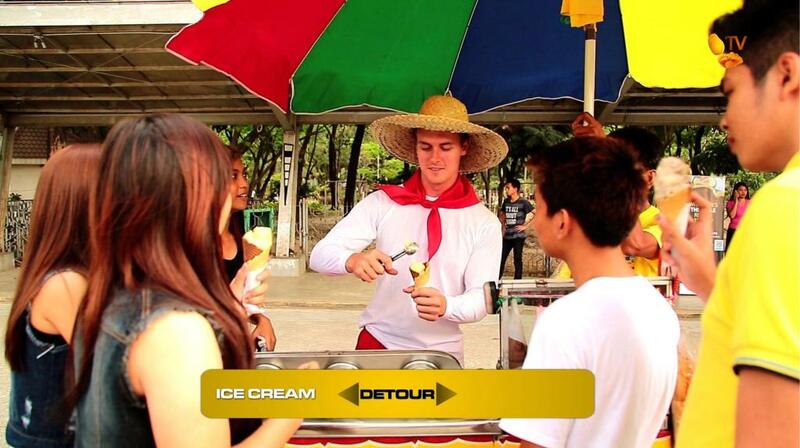 In Ice Cream, teams must become ice cream sellers and sell 30 sorbetes cones to the locals to receive their next clue. 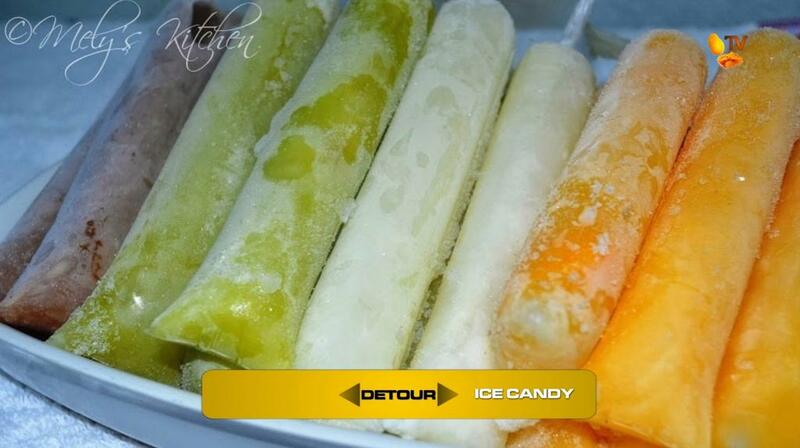 In Ice Candy, teams must make a total of 100 pieces of ice candy. After placing them in the freezer, they will take 100 already frozen candies and deliver them to a nearby address to receive their next clue. 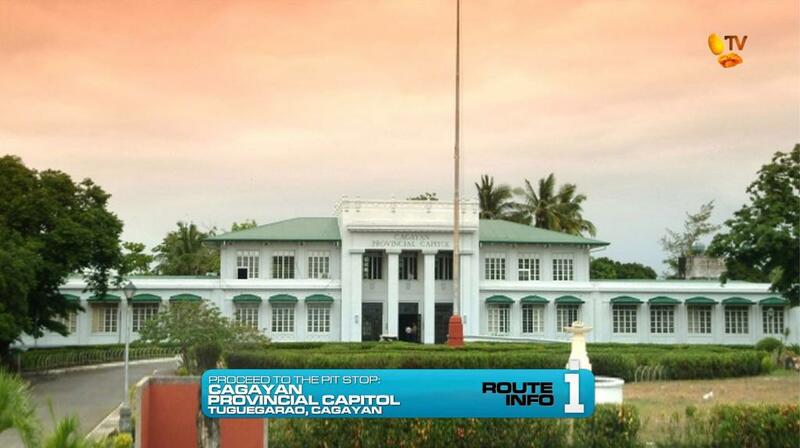 After teams finish the Detour, they can make their way by tricycle to the Cagayan Provincial Capitol. The last team to check-in here will be eliminated. On the next Leg of The Amazing Race Philippines: DryedMangoez Edition , teams try to hold on as they navigate the rumaragasang Chico River. While teams who can’t get in sync may just weave their way out of the Race.